Dandelion is a common meadow herb of the Asteraceae or sunflower family. There are about 100 species of dandelion, and all are beneficial. Dandelion flowers do not need to be pollinated to form seed. Dandelion seeds are often transported away by a gust of wind and they travel like tiny parachutes. Seed can travel 8 kilometers (5 miles) before it finally reaches the ground. Dandelions have sunk their roots deep into history. They were well known to ancient Egyptians, Greeks and Romans, and have been used in Chinese traditional medicine for over a thousand years. 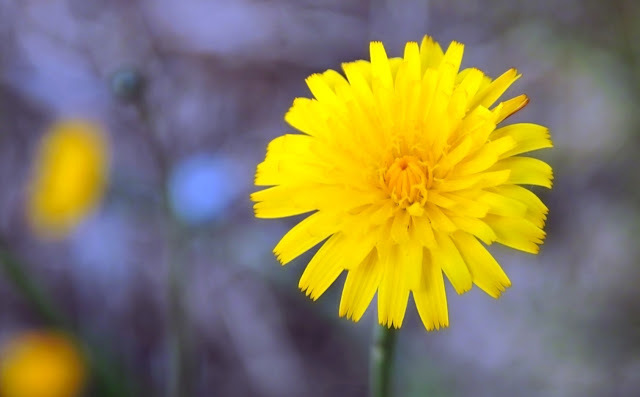 Dandelion is used in folk medicine to treat infections and liver disorders. Tea made of dandelion act as diuretic. If you mow dandelions, they’ll grow shorter stalks to spite you. Dandelions are, quite possibly, the most successful plants that exist, masters of survival worldwide.